Reporters asked the Browns on what happened, "no comment". 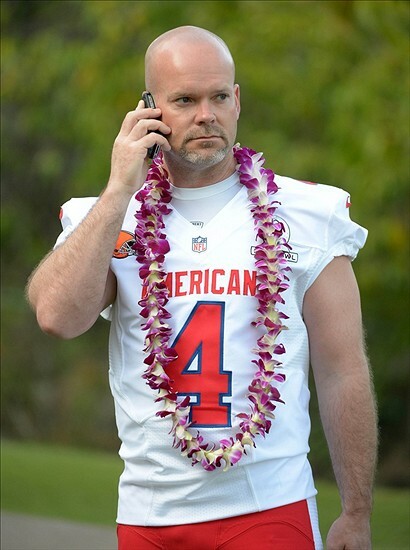 The same reporters asked Phil Dawson what happened "I appreciate the interest in (a possible Browns offer), but my focus is on 100 percent moving forward and that's just how I'm going to roll with this,". Could it be that the Browns did offer him a contract, but worked it out with Dawson that they would take the heat, instead of throwing Dawson under the bus where he would end up as yet another beloved Cleveland player ditching the team and the city he clearly "loves". If the Browns come out and say "we offered a contract, but he didn't except" Banner/Lombardi lose credibility in the locker room with any other current and future contract negotiations, especially doing it to a player as well liked as Dawson is. If Dawson comes out and says "hey they never offered me a contract", what harm will is cause? That's what we all believed happened anyway. Something to me doesn't add up. Here's what I believed happened. When the season was over Dawson knew he wanted to leave and play for a winner somewhere else, who could blame him really. Dawson told the Browns he had no intention of playing under the franchise tag, and would like to leave. The Browns worked it out by having neither party talk about the "contract negotiations" so Dawson could leave as a stand up guy, and the Browns could move on from the last remaining link from 1999. The Browns were in a lose-lose situation, knowing they would take heat if they low balled Dawson with their contract, or if they never offered him a contract to begin with. Either way the Browns will, and have gotten ripped in the press, but having Dawson save face goes a long way in the locker room. Just a thought. Another reason I don't think Phil ever had any intention on staying in Cleveland wrote "Phil was here 1999-2012" in his locker after the last game. The writing was literally on the wall. With Dawson gone, at least we get to look forward to "Kickalicious".